It's time for another giveaway! I love being able to offer these to you guys. 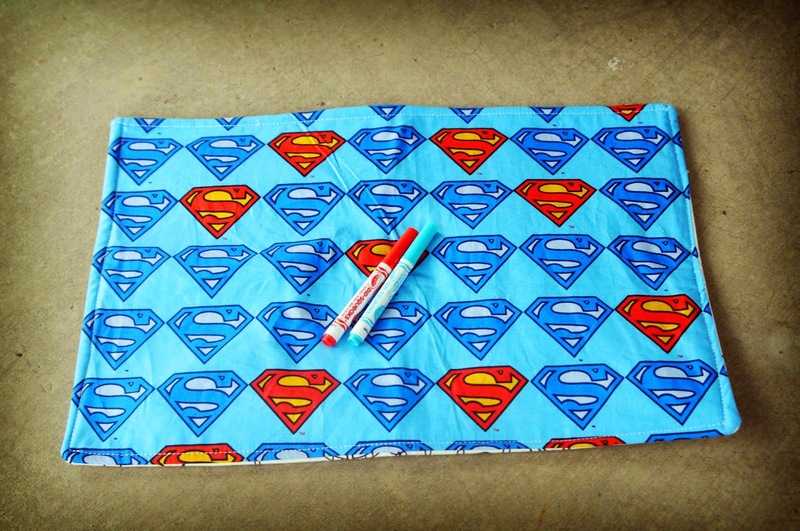 WASHABLE COLOR ON FABRIC PLACE MAT, INCLUDING WASHABLE MINI MARKERS. ORIGINAL SIZE INCLUDES 2 MINI MARKERS. ONE SIDE IS THE FUN COLOR ON FABRIC AND THE OTHER IS AN ADORABLE CHARACTER FABRIC. *Let the kids color all over the place mat with the included washable marker and then just throw it in the washer. Reuse them as many times as you would like. Keep the place mat in your purse or diaper bag for fun entertainment on the go anytime. These would make a great gift! Visit Ribbons and Sprinkles facebook page. Leave a comment on the wall thanking them for the great giveaway. Your comment is the entry. If there is no comment left then you have not entered! Giveaway ends on Saturday, Feb 21 at 12pm cst.